Hannah Eshleman and Dillon Mast from Philadelphia Neighborhoods, a publication of Temple’s Multimedia Urban Reporting Lab, wrote an article about the Kensington Renewal Initiative. 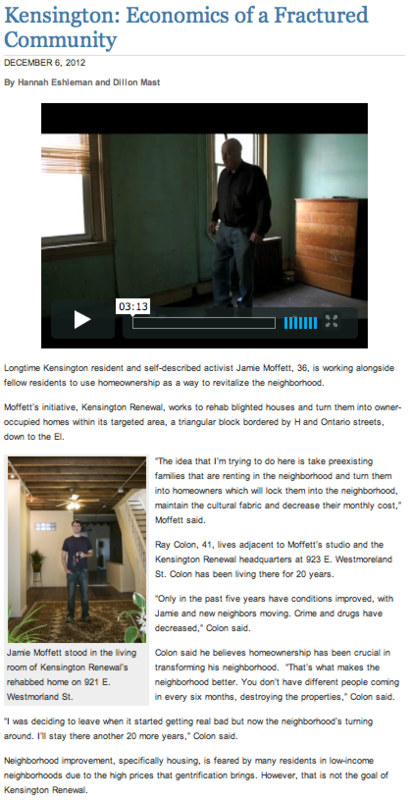 The article covers everything from low homeownership rates, to banks denying loans to properties under $50,000, all the way to the new rehabilitated home at 921 E. Westmoreland St. Check out the entire article below!